June 18, 2012 September 8, 2015 / Javan H.
A storefront similar to Store 128. Pulling Teeth: In this dream, I was on campus at Tara, my old high school, and looking in the mirror at the same time. I was pulling out one of my upper molars that was already loose, painful and slightly rotten. I pulled it out with a lasso of string, and felt SO good afterward! I checked in the mirror and surely enough, there’s a beautiful gap. Pulling teeth and rotting teeth are both said to represent some sort of anxiety, health problems or regret from harsh words. Well, I do have heart palps and I have said harsh words to certain people as well as about them, neither of which I regret. But, pulling one’s own teeth is also said to be related to some sort of renewal. This makes sense. Before bed, I had a conversation on Skype with King Ciggy on YouTube, and I came to a revelation. I care a little too much about what others think (and the fact that the dream took place on my alma mater’s campus is very telling), and I tend to suppress certain tendencies and actions. But from talking to him, I realized that I’m doing all of this for nothing. He also helped me realize that I really don’t need the proverbial ball and chain. I’ve quickly come to realize that over the past couple weeks, but this conversation put the icing on the cake. Pulling your own teeth out is also believed to tied to one being trapped in a situation that they don’t want to be in. This reminds me of my latest octopus dream. Express-lane: Last night, I dreamed that I was walking to Express at yet enough REM-influenced mall. Express was my previous job, having worked in Atlanta and here in Baton Rouge, but my Baton Rouge experience has left me with a lot of deep-seated resentment not towards the company, but the staff. In the dream, I was debating whether or not I stick to my morals by continuing to boycott that store and order my T-shirts from the store’s website like I have been, or cave and feed my money to the very faces who I feel have screwed me, all for the sake of not having to pay shipping. I decided to go in, and the store was near closing time. The supervisor to which I have the deepest resentment toward was the closing manager and she, nor anyone else, acknowledged me. I browsed for a while coming close to swallowing my pride and ringing up the shirts, but after they continued to ignored me (the manager had her nose turned up the whole entire time, and she did see me), I put the shirts back, thrust the door open and bailed. Clearly, I haven’t gotten over them and my stubbornness on the issue is making things more difficult than they need to be because I’m frugal. I don’t even want to spend fifty cents if I don’t have to! But either way, despite the shipping costs hiking up the price of my purchases, I would still rather pay it than give these people my money. Every time I pass the storefront, I become enraged, and I become even more so if I see a coworker. 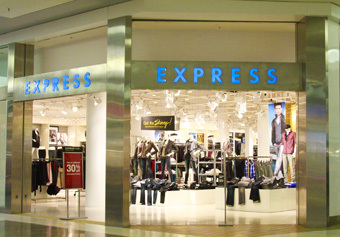 Nonetheless, I will shop Express until the day I die.